Exclusive deals for Citibank cardmembers. 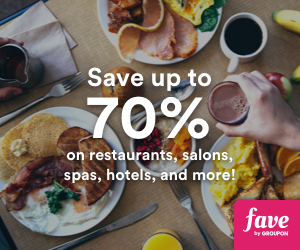 Enjoy 8% off hotels in London and Italy. Promotion is valid for bookings made from 1 – 30 Apr 2019. – The Promotion is available to the qualifying and eligible cardmembers of Citi Cards issued in Malaysia. Valid with payment using Citibank cards only. – The qualifying and participating cardholders are bound by the terms and conditions of Agoda. – Citibank Malaysia and/or Agoda can change the terms of conditions at any point of time. The Promotion is independent of, and unrelated to, any offer or arrangement between Citibank Malaysia and the cardholder (payment facility, etc), which is at – Citibank Malaysia’s sole discretion and for which Citibank Malaysia is solely responsible and liable. – Citibank Malaysia is only an issuer of cards and Agoda is an online accommodation reservation service provider. Citibank Malaysia and Agoda shall not be liable for any bodily injury (including death), loss or damage arising out of the use of any accommodation, facilities or services made available by merchant hotels and any transportation (whether by land, air or sea) or any incidental activities pertaining thereto.